Debi Miller, of Atlanta, Georgia, co-directs one of the largest Breathwork Centers in the world. She has been enthusiastically involved in Personal Development Training’s for over 25 years, as a Relationships Trainer, Breathwork Coach & Trainer and a Life Coach, working with individuals, couples and groups. Debi has a warm, loving heart and a magical sense of play, which is demonstrated in her personal life and career. For the past 30 years, Debi has been a passionate student and teacher of A Course in Miracles. She also enjoys facilitating seminars on Communication, Cooperation, Healthy Boundaries, Inner Child, Prosperity, Rejuvenation and Spirituality. 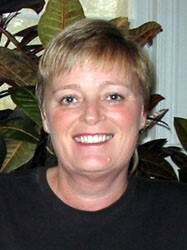 Another passion for Debi is that she is very active in community service, working with children, adolescents and adults.